Discussion in 'Pokémon Games Discussion' started by EeveeIsBrown, Jun 29, 2010. So I made a thread on the stories of how you trained your first pokemon to level 100 and how you felt and etc. And I'm going to jump on the bandwagon and say my first lvl. 100 was my Empoleon, Blarg (creative name huh?). Even after playing Red and Blue, my first 100 was in Pokemon Pearl version. Hmmm.... I believe the first Pokemon I trained to level 100 was my Blaziken. I had traded it from my Sapphire to my Ruby version but I only made it to level 60 until my friend made a secret base and I got Pokemon XD. That secret base always destroys my Pokemon so I kept training Blaziken to beat it. I still can't win after training two more GBA Pokemon to level 100. The Blaziken was the best in my opinion, but the Groudon and Rayquaza were very close when it came to power. My first level 100 was my Sneasel back in...Crystal I think XD My second one was Milotic in either Sapphire or Emerald. Like Tun, I generally don't raise Pokemon to level 100--especially now that wifi auto-adjusts levels for you. I typically only level up Pokemon to get level up moves I want for my competitive team. My first level 100 was a Frailgator on Crystal i generally dont enjoy raising my pokemon to higher levels residing how its automaticly done for you on the games. I generally raise my pokemon to level 70-78 depending on there movesets and uses but frailgator was a main use as you can tell, more then most. I mean i got a level 100 shiny dailga by trading a palkia when i had wifi but that wasnt really training XD just thought it was worth a mention. Even so i have very few level 100s at my despoil on the main game i play, platinum. Consisting of Dailga Dragonite Shiny Gardevior Blaziken and last but not least, Tyranitar. The first Pokemon I raised to Level 100 was my Dragonite named "Yoshi" on Pokemon Red, but that was with the assistance of the Seafoam Islands missingno glitch (Yoshi was around level 65 before I started using candies). I can't remember 100%, but it probably wasn't until Gen 4 that I raised something from Level 5 to 100 without rare candy: my Armaldo. He was originally a member of one of my Pokemon Ruby teams and was later Pal Parked to Diamond, where he become my False Swipe biatch. After awhile I started using him to make money via the Elite 4, and after battle after battle he finally reached level 100. It's not really a huge accomplishment because I didn't aim for it, but it's nice regardless. My first level 100 Pokemon has always been from Pltinum(No matter how many times I restarted it! XD), My Empoleon, Tayler. I "accidently" overtrained him and I beat the E4. I was all OMG YAY *^-^* Tayler FTW! But, yes that was my first. Second being Ares, my epic Lucario. My first and only level 100 was a legitimately raised Nidoking on Pokémon Yellow Long since deaded but hey, I remember him. I haven't trained a pokemon to level 100 since the missingno glitch went away. ^^ First one was probably Mewtwo or something. The highest I've trained anybody since is about level 70 or so. My first lvl 100 was my Charizard (flamelizard, very creative) i just crunched elite four on firered version. My first level 100 was a Typhlosion I started with on Crystal. It was a total beast, I remember going to the elite four with just my Typhlosion and stomping them everytime. It might not be now, but it seemed like a great achievement to me back then. My first Lv. 100 that my SISTER did was a Torterra. I transferred him over to Diamond as a Charmeleon and then used a few rare candies and leveled him to 100. First and last pokemon I trained to level 100, all other level 100 pokemon I have are from events or trades. I legitately got my first level 100 in Silver. It was an Arcanine that my bro gave me as a wee little Growlithe because I couldn't get it in Silver. I bit after that I got my Feraligatr there and thats it. My trusted Blaziken, called Blaze (I know, very original), was my first. He's still the major powerhouse of my team. Charizard and Raichu both attained the ripe old level of 100 back in the days of Pokemon Red. I think Charizard will have reached that level first, just because he was my favourite Pokemon back then. Ah, the memories this brings back. For me, it was Poach, my level 100 Empoleon. I got him up to level 100 with an Elite Four battle. However, after my game glitched, he was gone, forever. My first was the first Pokemon I ever got in a game. A Feraligatr named Crock (yeah, didn't know it was without the 'k'...). Me and her were like PB&J, she was basically the only 'mon I used for the entire story in Crystal. With some help from my brother's lv 100 Lapras from Blue, we beat the E4. I used her to beat Red as well. I finally got an Espeon later, and she was my second. A Dragonite was my third. I've since restarted my Crystal Version, but I'm well on my way for my entire team on that game to be 100. ♥. My first level 100 pokemon was my gengar in FR since it was traded over by my half brother I got it to level 100 after many round trips to the Elite 4 and didn't notice it leveled to 100 till my brother pointed it out. So yeah, I was young, and didn't really set out to grind him to 100, it just eventually happened. However, on his last moment of lv.99, I beleived in my childish error, that he'd die at lv.100. I turned off, and asked my friend what happened after lv.100. How silly. Blaziken, my first ever Pokemon. Well my Infernape, Overblaze, was my first pokemon that hit level 100 without cheating. He was on my platinum, wich broke :'(. So my first pokemon that hit Lv. 100 i have now is my Zangoose, Lord Zortn. Once i got him at the safari zone (about a 20 minute chase and luckily i caught him with my last safari ball and it took me a long time to think of the name) I trained him 2 the max at Mt. Silver and against gym leaders. once he hit Lv. 57 i used him againt the pokemon leauge. Then after a bit i took him back 2 mt. silver to train to Lv. 91 then finished the Elite 4 and he got to Lv. 100. Then i put the game down, put my hands in the air and yelled, "I AM VICTOIOUS!!!!!" I was exited! You know, I'm not too sure o_o I could have sworn I might have leveled up my Typhlosion in Crystal to lv. 100, but I'm starting to think it was only 98. But the one I can definately remember doing is my Charizard in FireRed. So epic. I think that was before me and my freinds discovered gameshark, so I was pretty much the strongest out of my circle (My friend Sam had a lvl. 88 Swampert and Ryan had a lvl. 92 Machamp). Then Gameshark came around and made me the weakest -_-;. Mine was my blaziken on emerald. I leveled him up fighting the elite four and used a handful of rare candies. After awhile, I traded him to diamond and he leveled up to 100 against the elite four. I DO remember re-challenging a lot of people and going through the Pokemon League God knows how many times. It was a real pain in the @zz to get both of them to be as strong as they are. At least I can say it was worth it. My first 100 was using the missingo glitch, not sure what it was though. My first honest level 100 was my rayquaza which I traded from my ruby. My second was my crobat on leaf green which I traded from ruby aswell. On a side note, I caught a level 120 electrode that couldn't die on my blue using the missingo glitch. It was my best ever pokemon, when it was suppose to die it went straight back to full hp. My entire team in my original red version was level 100 with out the item trick, I think Charizard reached the mark first since he was my starter. After beating yellow I decided lets beat everything with a level 100 Pikachu so I began my quest to level up the Yellow Electric Mouse Pokemon to level 100 before battling Brock needless to say I pulled out several locks of hair. But it was totally worth it I only caught Pokemon based on needs like cut, surf, and strength, items. It took forever to beat the game considering Pikachu never really obeyed me but when it did it took down anything. However Charizard was my first I think he got to the mark about a year or so after I got the game which was just 2 years after its US release. My first was my first ever Pokemon. Ever. Feraligatr in Crystal version. all I did after the 16th badge was breed Feraligatr for no reason.. My second level 100 was the Ditto i breeded Feraligatr with. On a side note, I caught a level 120 electrode that couldn't die on my blue using the missingo glitch. It was my best ever pokemon, when it was suppose to die it went straight back to full hp. My first was a Feraligatr on Crystal. He was beast. I don't know how many times I beat Red to do it, but I don't care ;D! Second was my Charizard on FireRed. Elite 4 grinding FTW! After that, Steelix on Pearl (God knows how!?). I generally just train them to 50, since that is the WiFi lvl cap on PBR. Lol. ^^ Lot's of people used the misingno glitch I see. XD My first lv 100 Pokemon was a Charizard that my cousin leveled up for me using the glitch. 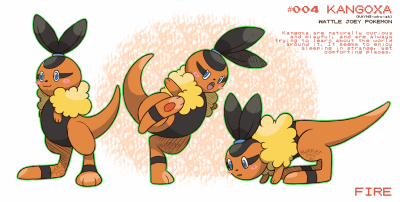 ;D But since I was too little to understand how he did it, I kept on training the rest of my team "honestly". So, my first real lv 100 Pokemon was a Dragonite.